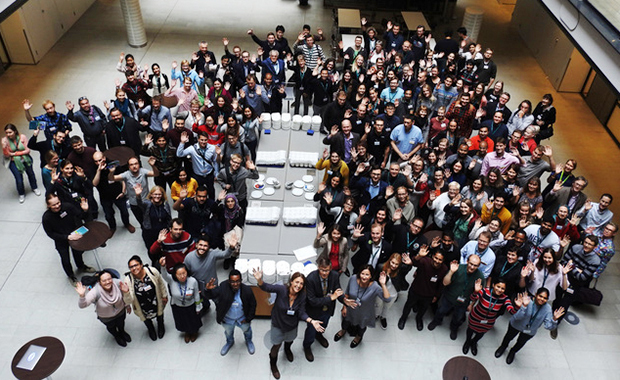 On 5 October, more than 170 Finnish researchers and EMBL alumni gathered at the Biomedicum in Helsinki to discover and share the latest scientific opportunities available at EMBL’s six sites. Here Marja Makarow, director of Biocenter Finland and event co-organiser, talks about her own scientific journey. 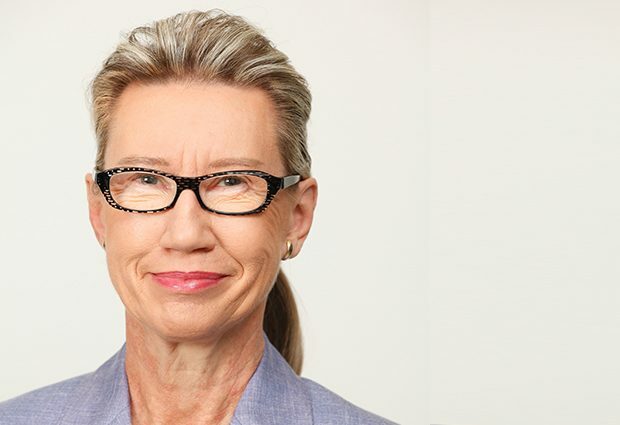 During her long-standing career, Marja has fostered international and diverse research environments – and she was keen to share these experiences with scientists throughout Finland. What did your research at EMBL focus on? I was a postdoc in the lab of Kai Simons from 1981 to 1983, working on cultured kidney cells known as MDCK cells. These cells are polarised, which means that the membranes on opposite sides of the cell look and act very differently to each other. At the time, the presence of these apical and basolateral membranes, as they’re known, was a very new finding! We wanted to find out which signals traffic membrane glycoproteins to these different membrane domains. When I came back to Finland to establish my own independent research group at the University of Helsinki, I continued to study how secretory proteins are folded and trafficked inside cells, but I switched to using yeast cells. As well as unravelling molecular mechanisms, I also developed a technology to make yeast cells produce working mammalian proteins. I patented my invention and it was tested by pharmaceutical companies, but I was too late! A different technology had already been adopted to produce human insulin in yeast – so I didn’t become a billionaire. But it was an extremely interesting and useful experience for me, to learn what you need to do to translate fundamental research findings into real-world applications. As the director of Biocenter Finland, do you still have the chance to go into the lab? Absolutely not! In 2003 I made the decision to move away from my own research. At the time, I was a professor of biochemistry and molecular biology at the University of Helsinki and I was invited to become the university’s vice-president for five years. After six months I decided that, if possible, I wasn’t going back to the bench. Instead, I’d prefer to take on roles where I’m responsible for all scientific and scholarly disciplines. It was a conscious, but also high-risk, decision. Since then, I’ve supported the setting up of two new universities and the Institute for Molecular Medicine Finland FIMM, I’ve shaped science policy as the chief executive of the European Science Foundation in Strasbourg, and I was responsible for funding frontier research, as vice-president of the Finnish Research Council (the Academy of Finland). I’ve also maintained links with EMBL as an EMBL Council member and as the president of the European Molecular Biology Conference (EMBC). With each position I’ve learnt new things and my role as the director of Biocenter Finland is a continuation of this. Biocenter Finland supports life science research across six Finnish universities and their five biocentres, by providing them with state-of-the-art research infrastructures. It’s my aim to continue developing these biocentres and to provide open access technology services to the 17,000 life scientists in Finland. What do you want to achieve with the EMBL in Finland event? It’s my priority to revitalise Finland’s connections with EMBL. Science is renewed by going out to another sector or country and coming back with new ideas, research questions and techniques. At this event we want to show young Finnish researchers what opportunities EMBL offers, in terms of its PhD and postdoctoral programmes and the potential for research collaborations. We also want them to find out about – and take advantage of – the fantastic research infrastructure that EMBL offers across all of its sites. I think this is a huge opportunity for Finnish science! What’s your advice to female researchers who want to go into leadership roles? I would advise young women in the biosciences to look for a mentor. It could be someone who is a great scientist in your research area, but – who knows? – it could be someone from a neighbouring field. You’re seeking advice for life, so approach a person whom you respect. Someone who is not only intelligent, but wise. Don’t be afraid to approach such a person. When people have asked me to be a mentor it’s always a joyful surprise and I’m so delighted by this trust. Ultimately, my aim is to promote diversity in science and science policy. It’s diversity that raises collective intelligence. Gender is the most basic level of diversity – it absolutely must be there. But people of different nationalities, cultures and career ages, they must all be there too. When you have these elements in place, then science can advance and the quality of policy makers’ decisions increases, then science can really succeed!